Anti Spam Tips: How to Choose the Best Spam Program? Gone are the days when spam emails only consist of unwanted advertisements. In this day and age where cyber crimes are becoming evident and difficult to handle, it is best to choose the best spam program to protect your system against all forms of cyber attacks. As someone with limited knowledge about the best spam program, you might be asking yourself, “which among the spam solutions should I choose?” if you feel a little overwhelmed regarding this matter, this article is perfect for you. Time is extremely important. Hence, the last thing you’ll ever need is a program that takes a lot of time and effort to install and configure. One of the most important factors that makes the best spam program is the ease of use. Administrators prefer to work with a software that is easy to understand and easy to work with. How many users can this program support? Do I have to pay per user? These are just some of the most important questions you must ask in terms of product scalability. One of the best things about the best spam program is that it offers quality support that can give administrators the peace of mind for the years ahead. The main purpose of choosing the best spam program is to combat security threats such as spam. To test out the effectivity of an anti spam software, the best thing you should do is to run a free trial before you purchase from a certain vendor. You can set a list of expectations prior to the trial to help you evaluate the effectiveness of the software. We can all agree to the fact that spam accounts for most of the total email percentage today. Hence, it is essential to choose the best spam program that features advanced security functions for better results. Make sure that the anti spam solution you’re about to choose for your system goes beyond the basic anti spam functionality. The best spam program should have an even more robust feature including a data loss prevention (DLP). Such an advanced function is what makes the best anti spam solution in the market today. With hundreds of security vendors claiming that they have the most effective anti spam solutions, finding out the best among the rest can be a little tricky. The best thing you can do is to do your research. Talk to customers who have an anti spam software installed on their systems and try to compare the false positive and negative rates of various security vendors. 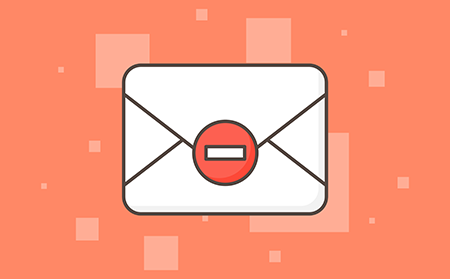 Why let unwanted emails on your inbox when you can eliminate them? Protect your system from all forms of sophisticated attacks by choosing the best spam program in the market today. Comodo Anti Spam Gateway, a cloud-based filtering solution is the best spam program to ever exist. Comodo Anti Spam Gateway is powered by a pre-perimeter defense that prevents junk mails, phishing links and infected attachment from reaching your inbox. It prevents all possible forms of harmful threats from entering your domain which may put your organization at high risk. Hence, such best spam program reduces the chance of various cybercriminal activities including fraud, data theft or blackmailing which can possibly destroy your entire organization. So, what makes Comodo Anti Spam Gateway the best spam program? Comodo Anti Spam Gateway has a centralized, web-based console and gateway-level filtering which makes it easier for administrators to install and configure. Why settle for less when you can have the best spam program? Protect your system against all possible forms of cyber attacks with the best spam program in the market today. Choose Comodo Anti Spam Gateway now! Know more about Comodo Anti Spam Gateway and its features by visiting our website or by clicking here for free trial.